This Page was originally set up in January 2016 when Kaiden was first diagnosed. Now the battle continues in 2018.
was just 3 years old when diagnosed with Neuroblastoma Cancer and on the journey of his life with his his entire family right by his side. As a parent I can't imagine what they are going thru, but can only stay positive as we know Kaiden will beat this! My hope is to help in any way possible to relieve some of the financial burden (once again) that follows along with Mike and Danielle spending every moment possible bedside with Kaiden. Please see Kaiden's Janeway Adventure on Facebook. All positive messages, hugs and well wishes are welcomed by this wonderful family going thru (Round 2) the biggest journey of their lives. Cancer is the worst word in this entire world but when faced with it, it needs to be delt with head on!! Lets do this Kaiden! Kaidens Janeway Adventure and Thank You from the bottom of our hearts. UPDATE (January 2018): Kaiden has been unwell recently. 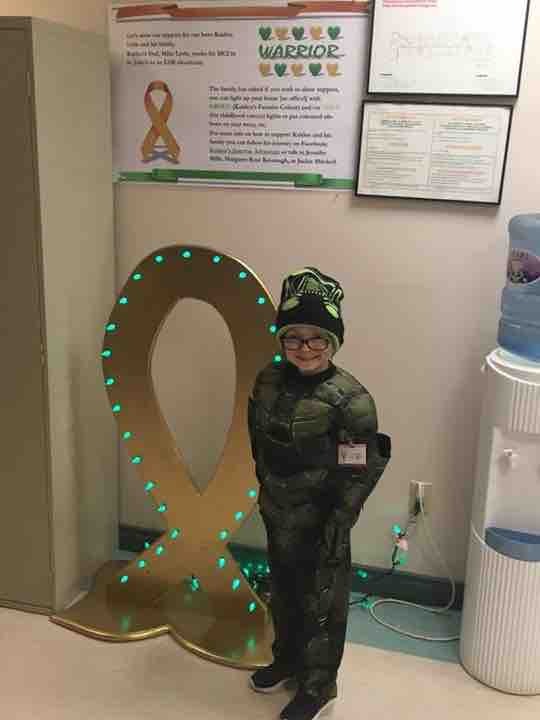 His Parent's, Mike and Danielle have just found out that the cancer has returned and Kaiden will have to recieve treatments again. Relapse is a parent's worst nightmare. This will be another long hard road, but with your support they will be able to be by his side once again to get him back to good health. As part of pre-treatment requirements Kaiden had a CT scan on Tuesday. We received the results from his CT Scan yesterday which has changed our current treatment plan. 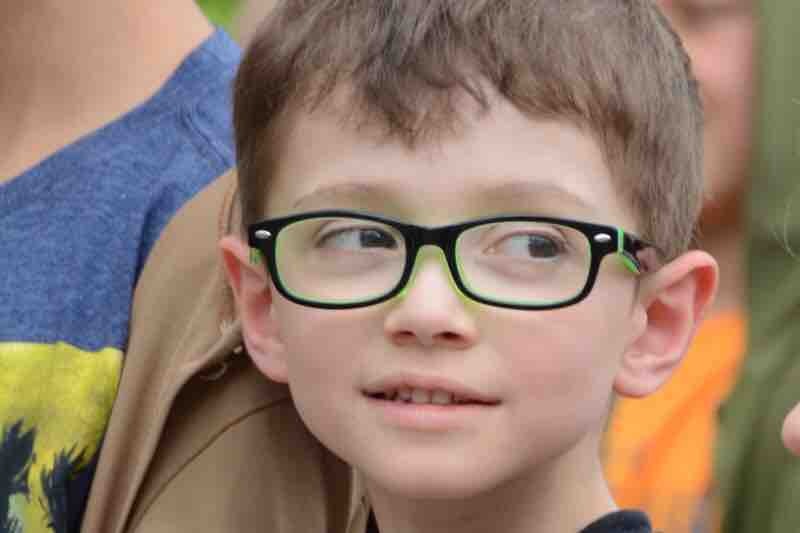 Kaiden’s MIBG treatment has been put on hold at this time. The scan showed two tiny lesions on his brain and another spot on his liver. As MIBG treatment doesn’t go across the blood brain barrier we have to switch treatment to chemo/immunotherapy to try to stop these new spots. Our team here at the Janeway has consulted with Sick Kids in Toronto and this is the best plan of attack. Kaiden will do a couple of these rounds before we rescan. After that we will determine what treatment would be next to continue with chemo/immunotherapy, MIBG therapy (which is still on the table) and/or Radiation. Yesterday was a hard day as we had a plan and now the tables have been turned once again. This disease is aggressive but our boy is a fighter and the support from so many we believe he can win. We will never ever give up. Today, to help brighten our day Kaiden got treated to a mini Police Convoy from RNC Headquarters to the stables. It was an amazing experience for all. Check out their Facebook for videos! Thank you all involved today - it helped more than you know Royal Newfoundland Constabulary. We received news that Kaiden is a candidate for MIBG therapy at Sick Kids hospital in Toronto. We have decide to do the new MIBG study that he will receive MIBG thereby and possibly iv or oral Chemo. Kaiden has to be at Sick Kids on November 22 for Pre-Scans. Then Kaiden will return for treatment in the first week of December and remain until at least December 19. We pray his disease doesn’t increase while we wait to start treatment. Please keep posting your pictures of green and gold/yellow lights and ribbons and positive thoughts of support. Kaiden is excited to see them all. It is a great boost to him and to us. It gives us strength to keep fighting. THANK YOU! It has been a while since a post was made. Kaiden was enjoying being a 5 year old boy away from the hospital. He started school, enjoying swimming lessons, TKD classes and playing with his friends at school and daycare. On Monday we learned that Kaiden’s journey through cancer is not over. There are no words to explain how we feel right now. Relapse was never in the plan. However, Neuroblastoma is a very aggressive cancer. Kaiden has been admitted to hospital to get his pain under control and to complete further testing to assess the disease. Then a plan for treatment will be made. We are regrouping and getting ready to go to battle. Our priority is our boys and getting Kaiden better to have the childhood he deserves. The results are in ......... a post that for over a year seemed so, so far away as we went through all the courses of treatment but now we can finally post......the MIBG scan was NEGATIVE! Meaning no neuroblastoma cancer cells lit up anywhere in Kaiden's body. There is no evidence of disease! We are so happy but at the same time not sure what to think. We will hold our breathe enjoy the moment and hope/believe that this aggressive cancer will not return. Thank you all for your positive thoughts and prayers that helped us get to this point. Kaiden will be admitted next week for round 5 of immunotherapy to make sure we keep winning this fight. So sad to hear the cancer has come back to Kaiden. I just sent an etransfer with my daughter's B-day money, this was the 3rd year she wanted to donate :-) All the love, health and positive healing coming to you all right now. You are a real fighter Kaiden, you can do this!! Great new little buddy. Keep up the great fight. You have a super team on your side. All the best mommy and daddy. Keep strong. You are in my thoughts and prayers. Special hugs from Daycare buddy Holly Rideout & Nanny Whitty. Stray strong. Keep up the good fight little Buddy. Thinking of you and your family. Hugs & kisses from Holly Daycare buddy and Nanny Whitty. You are all in my prayers and thoughts. God love him. Keep up the good fight little buddy. Mom and Dad be strong. Thinking of you all and praying for a speedy recover. Hugs & kisses from Holly daycare buddy & her Nanny Whitty. Wishing this sweet handsome little man the best birthdate pray / gift / Wish to come true for him today and everyday. Also for his family. May GOD BLESS THE procedure that he is having today on his birthday and every day forward. God please assure the innocent of this your child that all will be good for him especially on this the you sent him to this earth to his loving parent. Today is the day they thank you for him please help him to recover and enjoy his life with everyone that's loves him..HAPPY BIRTHDAY KAIDEN HOPE YOU GET ALL YOUR WISHES TO COME TRUE..
Not much will move a 45 year old construction worker to tears, I have just read you lost your battle, Kaiden and I am heartbroken this evening. This is not much but I pray it can help your loved ones. I lost my sister, Gail Smith, to cancer.